When I found out Kerry Washington would be a keynote speaker I snagged early bird tickets and started dancing around my apartment singing "Do You Know the Way to San Jose" and "I'm Going Back to Cali." And with that Washington echoed the message I received over and over again at BlogHer'14: Speak out. Lift your voice. Share your story. 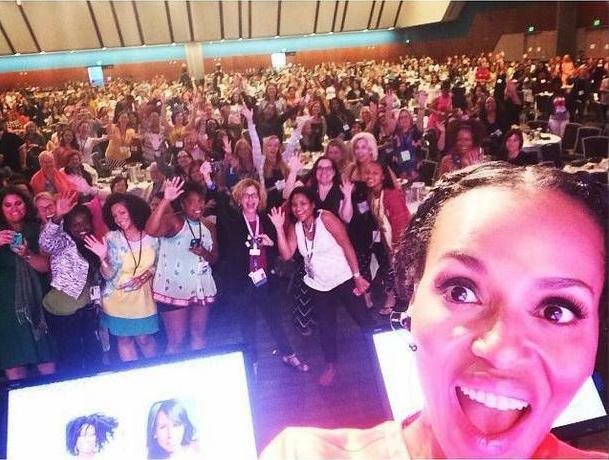 Kerry Washington takes a selfie with the BlogHer'14 crowd. You can only see the top of my head, but I'm in this photo. I promise. The day before the conference officially began I attended a pre-conference event called Pathfinder. On this day I attended sessions on how to be an agent of change. The session was led by Dannielle Owens-Reid of the blog Everyone Is Gay and by AIDS activist Rae Lewis Thornton. Both of these women have saved lives by telling stories. Owens-Reid has created a virtual safe space for LGBT teens. I can only imagine how many young people have contemplated suicide and then changed their minds because of something encouraging they read on Owen-Reid's site. Nor can I imagine the number of black women saved when Lewis Thornton had the courage to be featured in Essence magazine and speak up about living with AIDS. It was an honor to meet Rae Lewis Thornton and learn more about her story. 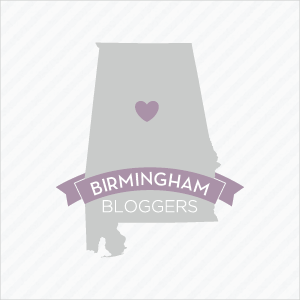 One of the women celebrated during this year's BlogHer was Katherine Stone of the blog Postpartum Progress. This time I could imagine the lives saved by her words as BlogHer founders surprised Stone with a video that featured several women telling her that they were certain the wouldn't be alive today if it weren't for her blog. 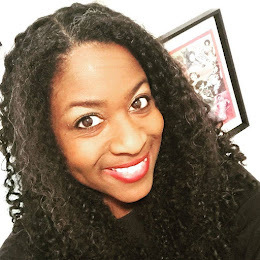 Though the conference was full of informative sessions about monetizing your message and building your brand, overall I was reminded that what I've been saying for years is true: Blogging is about people, not page views. 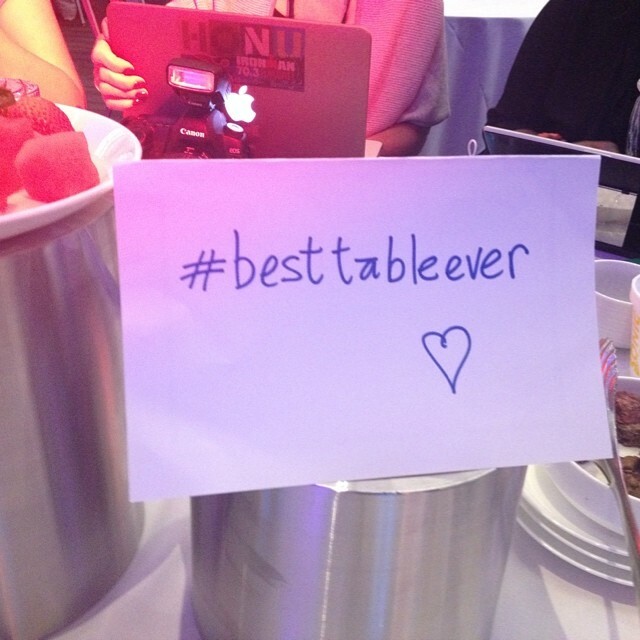 And people made my experience at BlogHer '14 fantastic. 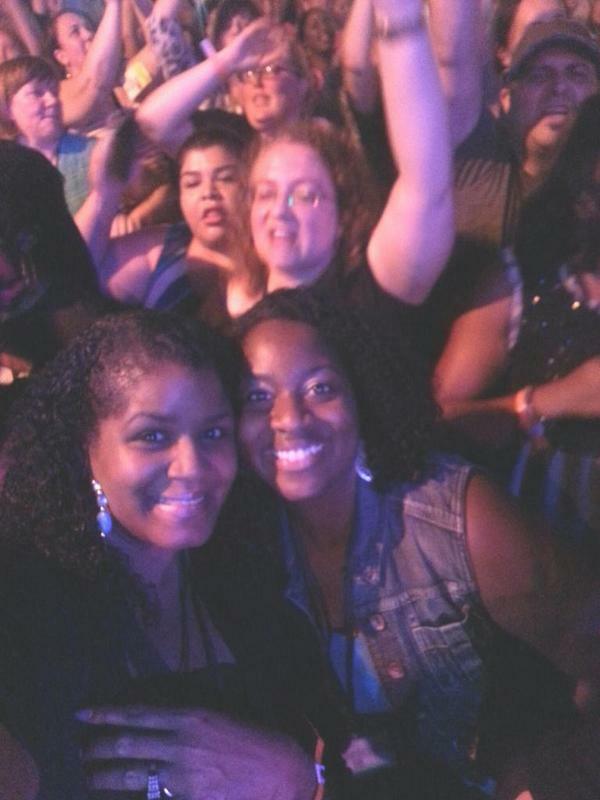 I went to the conference with my pal Williesha and I'm so glad I did. I usually go to conferences solo and when I do I have a laser focus on my goals and what I want to learn from the event. But Williesha reminded me to let my big hair down and have some fun. At the closing party, hosted by Rev. Run of the legendary Run DMC, I danced so hard and sang along to the 80s and 90s tunes so loudly that my feet were sore and my voice nearly gone the next day. 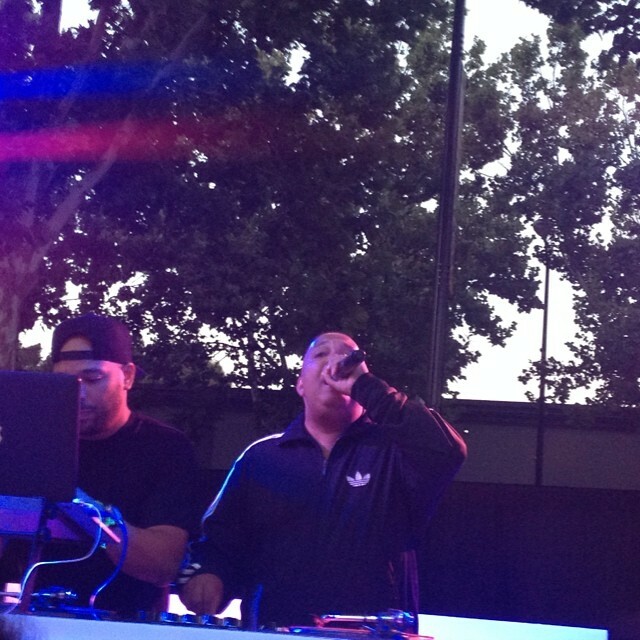 Also, my ears are still ringing even as I type this. Best Table Ever -- for real! I also met an incredible group of smart and funny ladies including Monica Barnett of Blueprint For Style, a blogger I've admired and followed for a long time. We ladies deemed ourselves the Best Table Ever and the energy from our table was so electric we later learned that one of the speakers -- Richelle Parham, chief marketing officer for eBay -- actually noticed us from the stage during her talk! We started tweeting about our little girl gang with the hashtags #BTE and BFTE (use your imagination on that one) and Yoplait yogurt, one of the conference sponsors, started tweeting us wanting to know more about the #BTE crew! Oh and did I mention that I left BlogHer with Arianna Huffington's business card, a signed copy of her book Thrive and a few snapshots with her!?! Over the next few weeks I'll be sharing some of the information I learned at BlogHer '14 sessions and keynote addresses, but today I just want to encourage you to keep writing, to keep sharing your story. 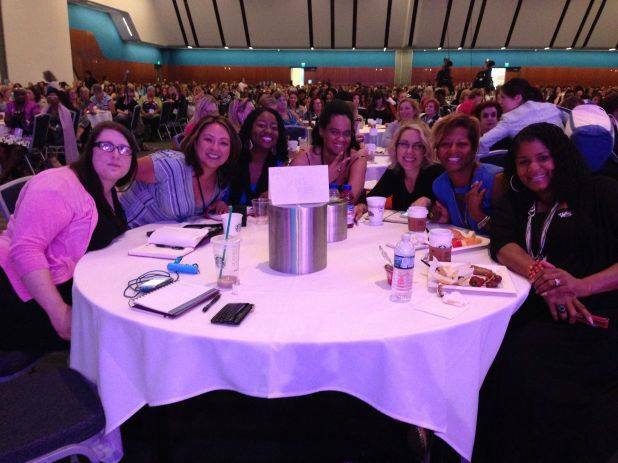 I went to BlogHer '14 in a writing rut. I hadn't felt very inspired lately and I was afraid I was going to become a blogger who doesn't blog. But I'm ready to jump back in the saddle. I'm going to write and blog and blog and write as much as I want regardless of hits and clicks. I'm going to write for my life. I'm going to be the write or die chick I used to be. And you need to tell your story -- whatever it is -- because someone else is going through the same thing you are and they need to know they are not alone. But you also need to tell your story for your own sake. One of the most powerful things I heard at BlogHer wasn't from a panelist or celebrity speaker. It was from a woman in my Pathfinder session, a survivor of domestic violence, who said that by sharing her story she saved her own life too. So write. Write as if someone's life depends on it because that life might be yours. I'm so glad you found this encouraging and I can't wait to read your new blog posts! Okay those three @postpartumprog tweets are giving me life. I must missed her and it seems that I missed a lot. I had a great time and don't even remember seeing you oddly enough! I hate that we didn't get to meet at the conference, but I'm glad I was able to pass on Katherine Stone's words to you. So great to meet you at BlogHer14! It was an inspiring and exciting weekend, even though the Southerners could DEFINITELY have used some more Diet Coke! Javacia, I am really glad that I found my way to the Best Table Ever. I love your writing; and I'm really excited to read your story. You have inspired me to hit the keyboard again. I have been feeling that writing pull for awhile now. I truly miss it! This post has inspired me to be a "write or die chick". Thanks for sharing, I love you're blog!